Material: Brass head and rubber handle. First ever hammer designed specially for metal stamping the steel stamps. Scaled down and ergonomic grip designed for ease of handling. 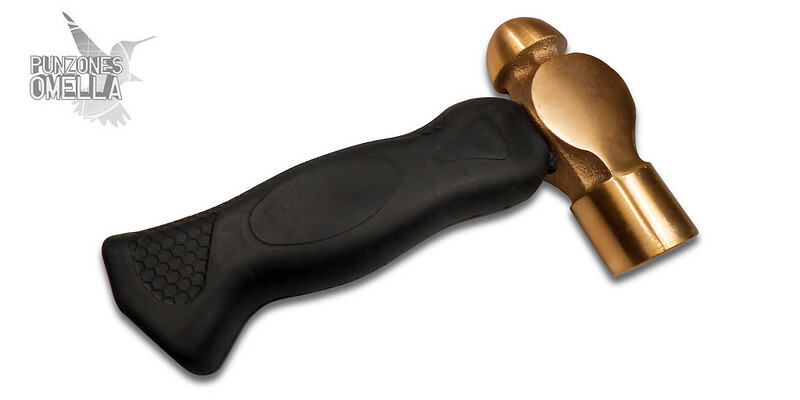 Brass head prolongs the life of your metal stamps and prevent rebound when hitting. Price: 29.95 EUR VAT included.